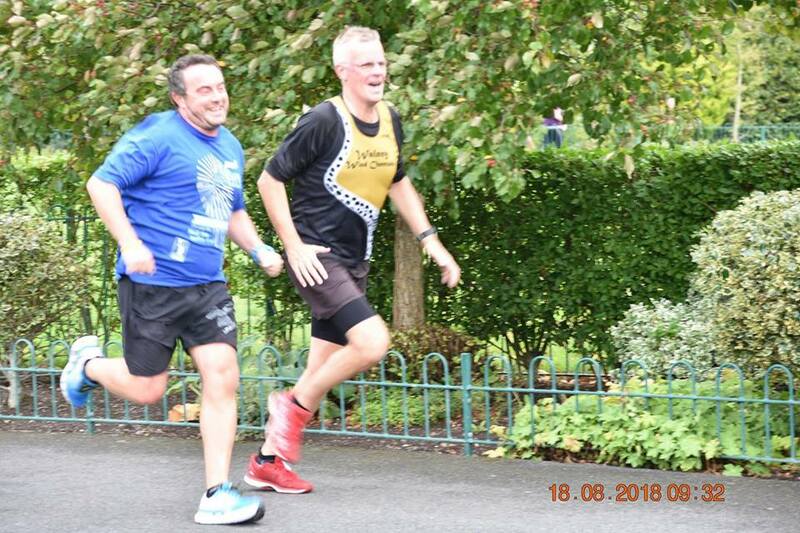 Most people woke up to rain on Saturday morning, but thankfully by 9am there was a big enough break in the clouds to allow 155 people to run, jog and walk the Barrow parkrun course in the dry. Nine of those were making their first appearance at Barrow and I’m sure we’ll see some of them again soon as the parkrun bug tends to bite when you attend a run in such a stunning park with such a welcoming group of people. Parkrun relies entirely on volunteers and this week was no exception, with 22 people involved in making sure the event ran as smoothly as possible by fulfilling roles such as course set-up, barcode scanning, timekeeping, marshalling and results processing. One of the most visible volunteer roles is that of Run Director, who welcomes the participants and gives the pre-run talk, directions and safety notices. No easy task standing up in front of 200 people and making yourself heard, this week the role was filled superbly by Paula Herbert, whose hubby Keith also volunteered as a photographer providing nearly 500 photographs and videos of the event later in the day on social media. First across the finish line was Mark Tomkinson for the men in 18:09 and Jenn Mattinson for the ladies in 20:24. Second places went to Danny Bouffler in 18:15 and Karen Oldham in 23:29 with third places being taken by Steven Postlethwaite and Joanna Barnard (known to parkrun regulars as Jo Bee). 17 people recorded new Personal Best times, which is just the best way to start the weekend! Don’t be put off though if you’re thinking of joining us and worrying it’s all about speed and fast times, you’re welcome to run jog or walk and it’s all about challenging yourself and in no way is it a race! Full results, complete event history and loads of info for beginners or regulars can be found on the Barrow parkrun page at www.parkrun.org.uk/barrow. parkrun is completely free to enter, just register at parkrun.org.uk so that you can receive an official time, print off your paper barcode from the registration process and brig it along to the bandstand at 845 for a 9am start every Saturday, see you there! This entry was posted in Run Reports by barrowoffice. Bookmark the permalink.